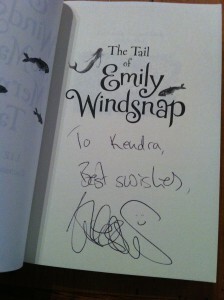 Last weekend was the UK’s first YA Lit Convention, and what an amazing weekend it was! All the things I love that usually exist only in my inner world — stories and writing talk and online friends — manifested in reality for forty-eight hours, and it was a very special thing. Panels, workshops and signings all took place simultaneously, and workshops were limited in number and places assigned by raffle, so it was literally impossible to do everything. I didn’t mind though, because the best part of the weekend was getting to meet lots of bloggers and authors and Twitter people — and how many of them there were! On Saturday evening I headed to the Fringe, which was a great little event for authors and bloggers organised by Sophia Bennett. 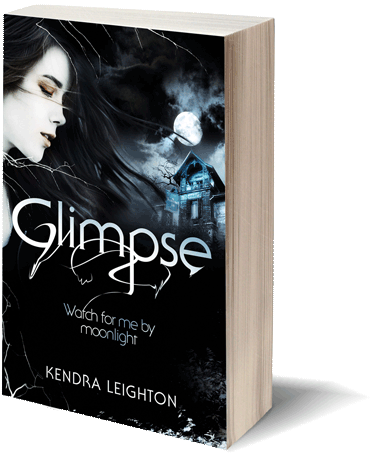 I signed a few copies of Glimpse and added one to the raffle, and won a few books myself. Yay! 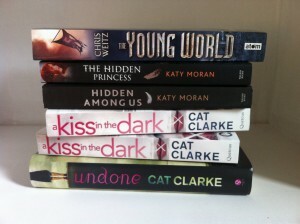 I grabbed some Cat Clarke books, since I’ve been meaning to read them for ages. 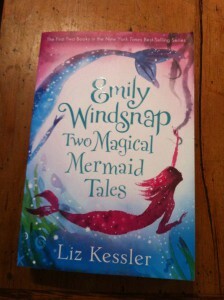 I also won a copy of Liz Kessler’s MG mermaid book, which has the prettiest cover. So lovely to meet lots of fellow writers and Author Allsorts members in real life, and see them with their Professional Author hats on. (Literally — James Dawson was keen to show off his sparkly new, well-deserved Queen of Teen crown!) Fab, too, to meet blogger friends old and new. 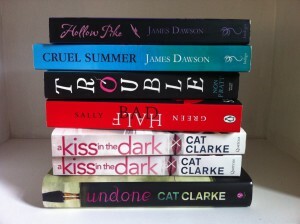 Get here faster YALC 2015!